Timeless and yet on trend, these cotton bows feature premium cotton fabric. 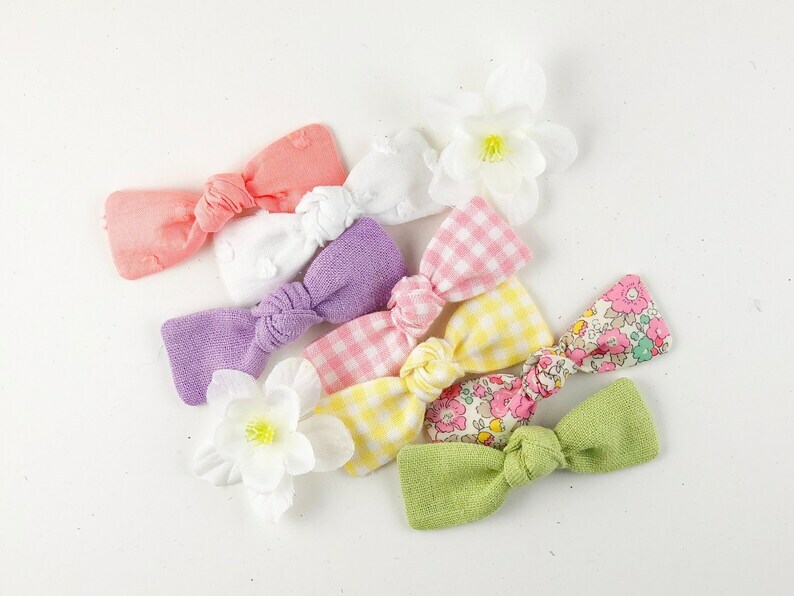 ONE set of TWO hand-tied, knotted bow hair clips. Each bow is attached to a right-sided alligator clip with teeth – made to fit comfortably yet securely.